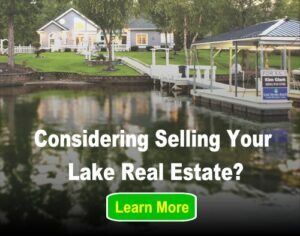 Why is my lake not on LakeHomes.com? We strive to have the most complete list of lakes and their real estate possible. This is a huge task when you consider the thousands and thousands of lake nationwide, and the hundreds of different data sources. The lake is in a state where Lake Homes Realty is not yet a licensed brokerage. As we grow, we obtain our license in each state. After that we join local Realtor® Associations and Multiple Listing Services (MLSs) as a full brokerage member. This is where we obtain our up-to-date data for our lake markets. We are licensed in that state but we are not yet a member of that specific lake market’s associated Multiple Listing Service (MLS) where we obtain our lake real estate data. We join additional MLSs every month, so our lists of lakes keeps growing. If a small lake and we have many surrounding or nearby lakes on our website then it may be a data import issue or we may just have messed up and missed it. We’d be glad to check if you want to contact us and ask. Previous post: Can I search for lakefront-only property? Next post: Do you have rental properties available?